One of the cool perks to being on the Cook Train Eat Race Team is that we have some great sponsors and we get to try some great products. One of our sponsors is Boundless Nutrition out of Austin Texas. They make a variety of gluten free products with athletes in mind. 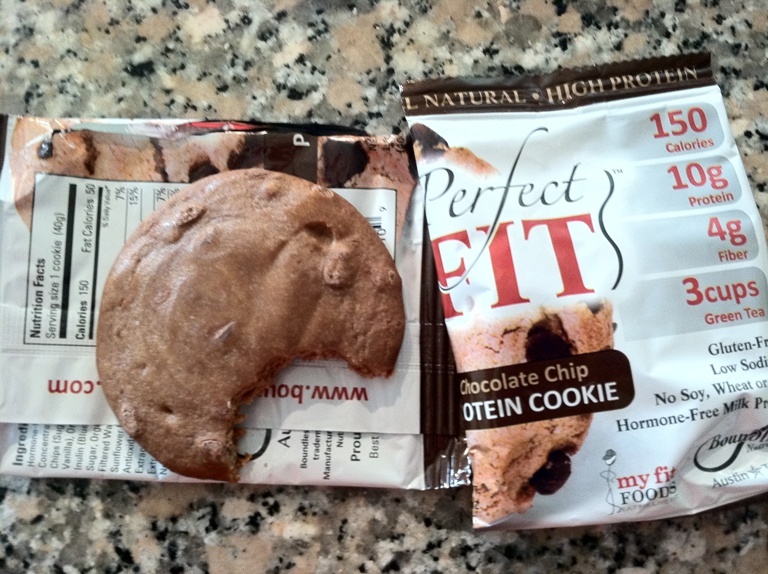 One of my favorite products is the Perfect Fit Protein Cookie (who doesn’t like cookies?). There are a couple things I really like about these cookies. They are very easy to eat. That may sound strange but sometimes the bars and things I eat before/during/after working out are kind of hard to choke down. Not these cookies. They are the perfect consistency for me. Not dry at all and perfectly chewy. What that means to me is I can eat them at any time. I can use them as a quick recovery snack after a hard run, or as a quick bite on my way to the gym, or as a snack on my way to work if I haven’t had breakfast yet. And the most important part to me, they taste great! I am looking forward to trying some of the other flavors but honestly you can’t go wrong with chocolate chip cookies! They also have other products like more traditional bars (lots of dark chocolate if that is your thing) but the cookies are my favorite so far!